After a year of travelling all through the continent, it's time to sell my beloved home. This car has been a fantastic companion for this journey. Big with lots of space, but small enough to fit through any street. Tough enough to tackle the harshest conditions and the roughest roads. And a very comfortable bed, which I chose over a hostel bed every time. Never had any problems with the motor, she's as reliable and hardy as they come. We've been told that in the next few months the car will need some mechanical work, with both differentials and the onboard AWD and ABS computers to be replaced. Importing parts will take approximately 1 month. The car is still completely drivable, just will need this work done at some point in the next 3-4 months. The parts can be ordered to Santiago, you can go for a drive, and return to Santiago in a month to do the repairs. Total cost for all work is approximately 1.5k USD, which I've taken off the original asking price of $5000. I cannot recommend this car enough! 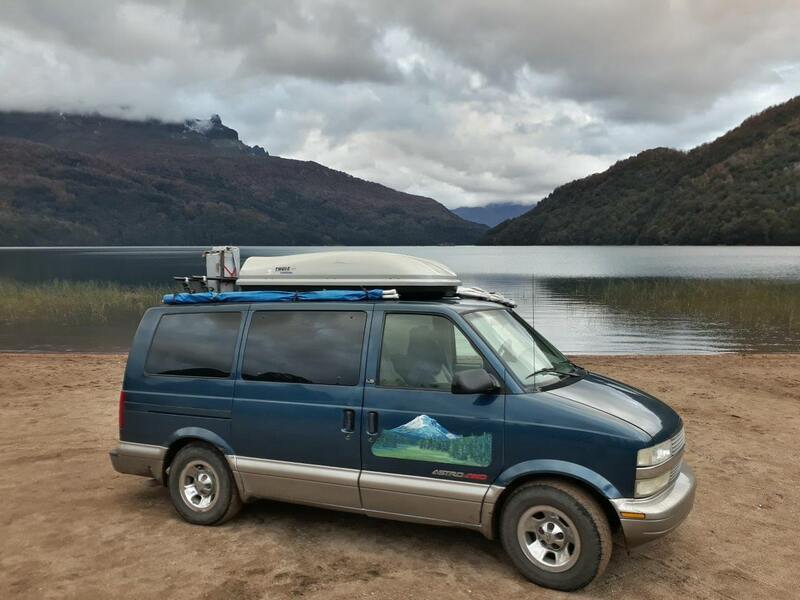 Hoping to sell it on to other travelers, so it can continue to see the world. Hey all, this item is still for sale. I'll be driving down to Santiago sometime in December if not sold, as the permit for Peru is running out. Motiviated seller here, I'd really prefer to fly from Lima. Hey all. Currently heading to Santiago, and should be there in a few days. Currently in Santiago, still unsold. So the car has been looked at by a Chevrolet mechanic, and we've been told that there is some mechanical work that will be needed sometime over the next few months. Both differentials need replacing, as well as the ABS and AWD onboard computers. Total cost quoted was 1.5k USD and a month to get some parts in (during this month one could drive around). The car is still completely drivable right now. Due to this information, the price is now 3.5k USD or make me an offer. Has this vehicle been sold? ?